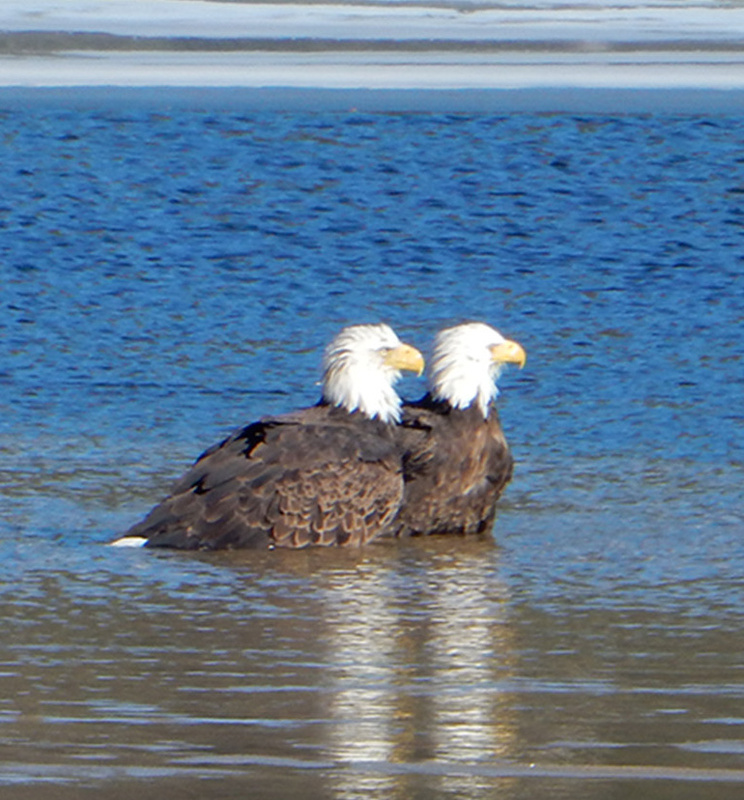 Chuck Hennessey of Windham spotted these eagles playing in the water at the lower narrows on Little Sebago Lake. 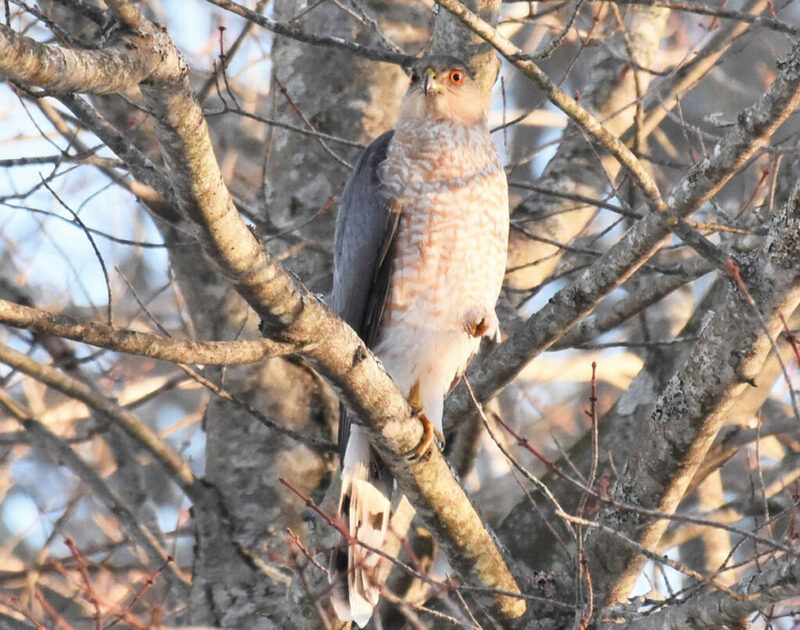 This raptor attempted to blend in, but Brian Lovering of New Gloucester spied it intently eyeing some doves hanging around his feeding station at work in South Portland. An owl came by to visit Erik Bartlett at South Casco and sat on a big branch overlooking a bird feeder area. The owl left the area a brief time later but then returned.